Is there a way to use a dark theme in the Slack Desktop app? Specifically where the background is dark (black, dark grey) and the text is light. 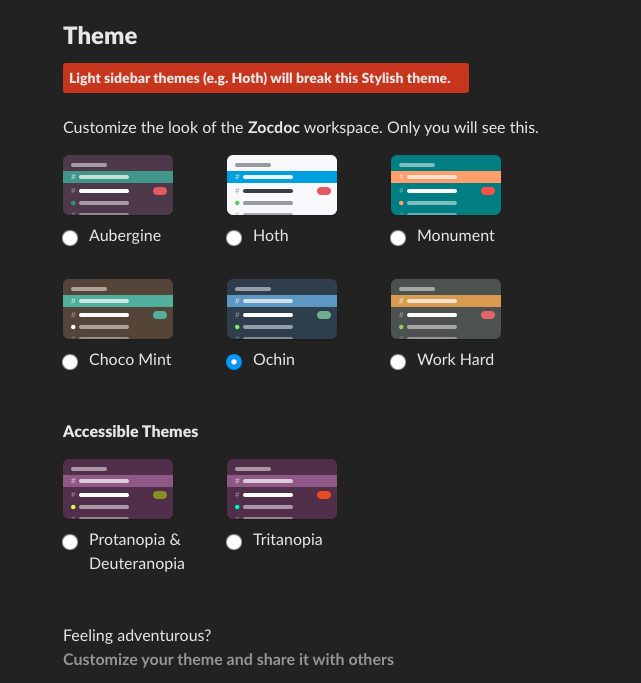 There are some built-in themes in Slack, but they are all light colored. In order to make slack dark you can do the following for OSX (as of today 7/30/2018). I've actually created a sort of "plugins" infrastructure for slack based in my github repo https://github.com/glajchs/slack-customizations. 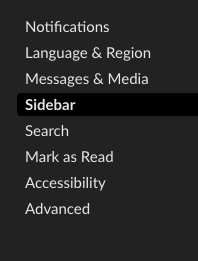 The dark theme is based on the "laCour" user's dark theme from a while back, that I've been maintaining a version of locally, but there's no reason you can't just point at their theme instead. An important note about the ssb-interop.js file patching described in the other answer (and that I've automated with the ./patch-slack.sh script in my repo). Every time Slack updates to a new version, this file gets overwritten, so you have to re-patch it. Final note, I don't have it working in Windows yet, but (patch script aside) that should just be a matter of changing some file separator characters. Skype for business: is there anyway to make chat rooms function more like Slack? Can I get HTML emails into Slack? How to get Slack notify me when someone becomes online / available?